This spicy Chinese-American dish is one of our most popular take-out dish on the menu. 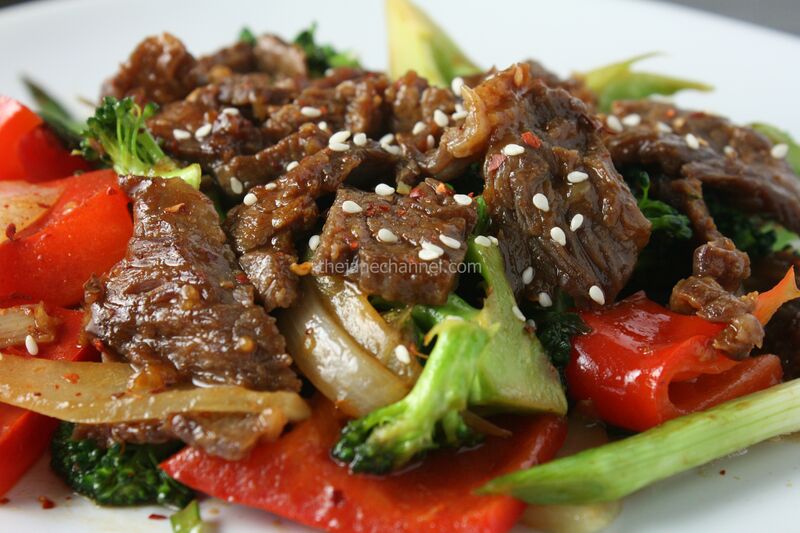 Marinate beef slices with hoisin sauce and sesame oil for 20-30 minutes. Heat oil in wok over medium-high heat. Add onion, cook for 2 minutes. Add broccoli, cook for another 2 minutes. Add red peppers and cook for 2 more minutes. You can adjust the timing according to how cooked/soft you want your veggies to be. Remove from wok. Heat oil in wok over medium-high heat. Add ginger, and garlic, and cook until fragrant. Add green onions and beef, cook for 3-4 minutes, or until cooked through. 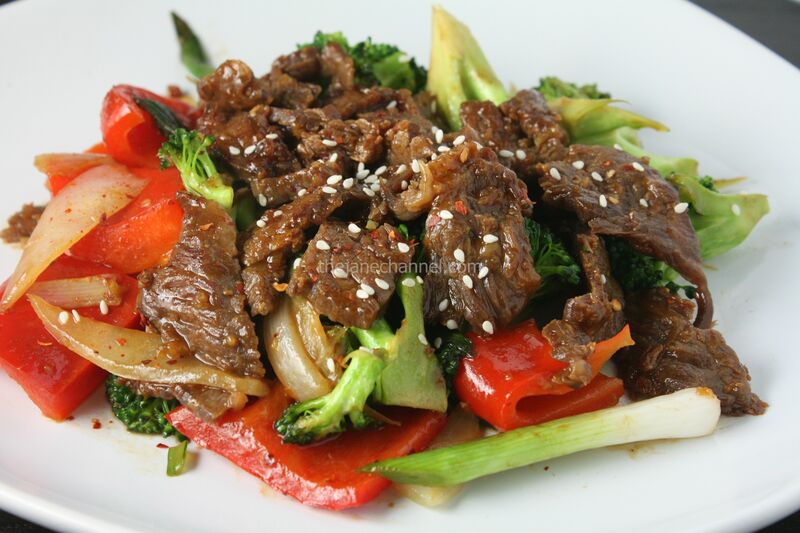 Stir in onion, red pepper, broccoli, scallions, and 1 tablespoon of water to pan. Cook for 1-2 minutes or until sauce is slightly reduced. Sprinkle chili flakes and sesame seeds on top (optional).